Composed by Traditional. Arranged by James Gilbert. Christian, Contemporary Christian, Praise & Worship, General Worship, Pop. Score, Set of Parts. 22 pages. Published by James Gilbert Music (S0.130261). An accompaniment to this popular praise and worship chorus. 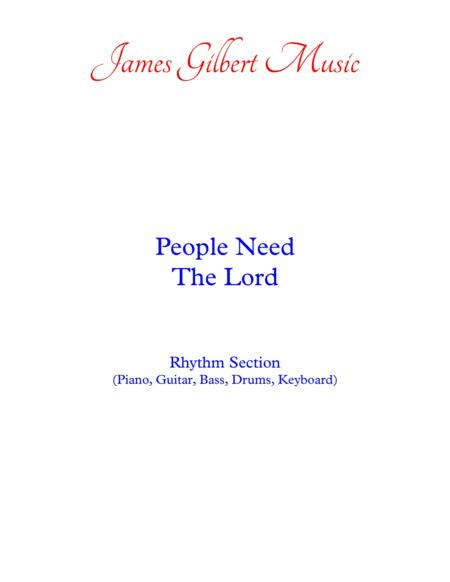 Contains Piano - Guitar - Bass - Drums - auxiliary percussion and Keyboard/Synth parts - all that your praise band will need to accompany this song. Neither the melody nor the words are included in this arrangement.